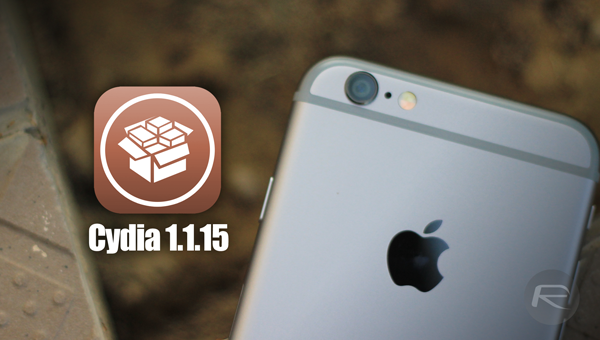 A major update has just been made to Cydia, driving the version number up to 1.1.15 whilst adding a number of fixes largely specific to iOS 8 / 8.1, the new iPhones, and the Pangu8 jailbreak. First and foremost, that Passcode bug has been eradicated. When booting, user were finding that devices completely locked up, but thankfully, you can now reinstate this vital security measure without fear of that nagging issue arising. Additionally, Cydia has also been fixed so that it runs in the background on iOS 8, so you can flit between Cydia and other apps in the multitasking background without losing your progress. As pointed out in the extended release notes, Cydia has developed a knack for redirecting users to the App Store, usually on the page of the same dozen or so apps. Having personally experienced this myself on several occasions in recent times, I can personally vouch that it’s incredibly annoying. But with the newly-updated Cydia, these pop-ups are essentially blocked, and if you’re about to be redirected to the App Store for any reason, you’ll be met with a prompt before you’re thrown out of Cydia. Cydia 1.1.15 also offers what’s described as "partial" support for the iPhone 6 Plus, with the device’s iPad-like rotation features now taken into consideration, while videos should now work again on devices running iOS 7.1 and up. A number of other minor gripes have been addressed, including localization on iOS 8, but while this is a very major update in Cydia’s timeline, there are a couple of ongoing problems. Towards the end of the release notes, for example, it is mentioned that icons for tweaks and packages that support them may not appear on the home screen. After a reboot, it’s likely that these missing icons will reappear, and when the UICache tool for refreshing icons has been updated for iOS 8, this minor issue should no longer remain. That particular fix, as explained in the changelog, is on the to-do list once the Cydia devs can find the time to update the UIKit Tools package, and as soon as that arrives, we’ll have the details here. In the meantime, you can download and install the new Cydia, by firing up Cydia itself, and running a search for ‘Cydia Installer’. Make sure you refresh so that version 1.1.15 appears, and after a reboot, you’ll be able to enjoy a smoother experience with the numerous enhancements as outlined above. Fix incompatibility with cache wipers (such as iCleaner) that cause Cydia to crash when you try to run it after. Correct rotation to only on tablets to match Apple’s UI style guidelines. Make Installed tab icon consistent. The article above has been updated to reflect this. Saurik is on fire, GOOD JOB with the superfast updates !! Ok so im just here in de office watchin movies nd so desparate to get home nd jailbreak my 6 nd 6plus thank you so much for all your hard work guys..
Is this for general use or should regular users still wait for bugs to be ironed out? Do we still need to respring after reboots? Is anyone noticing that the shuffle music option crashes? It starts to play a song for a second then stops, then no songs will play. I have to reboot to get a song to play again, but trying to shuffle crashes it again. So, is anyone having problems with passcode lock now? Anyone else got a problem with unlocking the device whilst charging? Mine doesn’t respond unless its rebooted. Why :/ Appcake instalation doesnt require it!